DESCRIPTION WOW!! JUST REDUCED $34,000, SUCH A GREAT PRICE FOR THESE STUNNING MOUNTAIN AND SUNSET VIEWS. Welcome to one of the best spots in Sunset Ridge, perched on a large pie shaped lot is this beautiful, fully finished walkout home. This home has everything you need and want for your family. Starting with a spacious front entry, you’re immediately hit with the views from the huge, strategically placed windows on the main floor. The kitchen has tons of space, stainless steel appliances, granite finishings and large pantry. The open living room has a cozy fireplace and the dining area has a patio door leading to the vinyl deck where you can enjoy your morning coffee and of course, the amazing views. The upper level has a great bonus room, separate laundry room, 2 spare rooms & a huge master suite with views, dual sinks, oversize tub and shower. The lower walkout level has a huge rec room, office space, 4 pc bath & 4th bedroom. The yard is so large there’s room for a play centre, trampoline, hot tub and more. Home for sale at 39 Sunset Pa Cochrane, Alberts T4C 0N4. 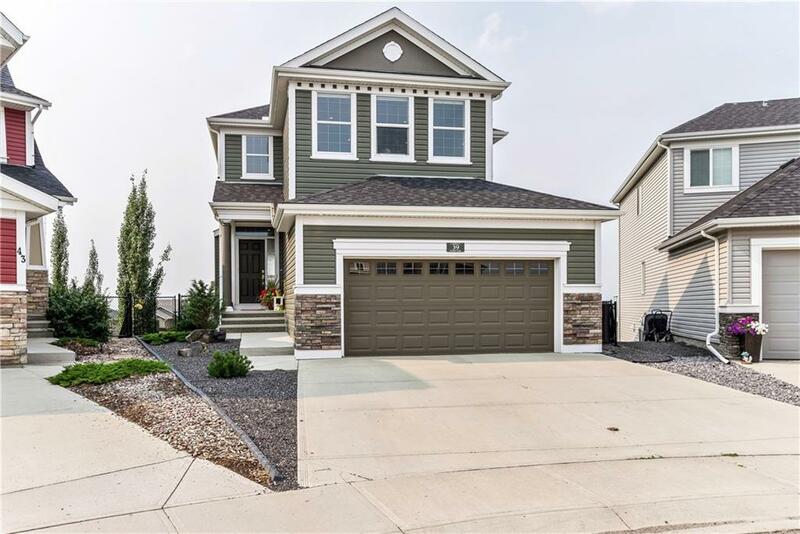 Description: The home at 39 Sunset Pa Cochrane, Alberta T4C 0N4 with the MLS® Number C4198760 is currently listed at $585,000.